Perry Block - Nouveau Old, Formerly Cute: Why Can't He Be Seven? Just look what I'm offering, kid! My son Brandon will be 17 years old on Wednesday, April 25. I'm proud that he is turning into a happy, healthy, and intelligent young man with a wide variety of interests and a well-adjusted and positive outlook on life and the future. Why the hell can't he still be seven??!!! "Daddy is the fun parent!" Now I didn't say he ever actually said any of these things, only that the sweet little smile in the picture makes it seem like he might be just about to! I walked the little kid picture over to Brandon and thrust it in his face. "Don't tell me, Dad. I'm on This is Your Life with Ralph Edwards, that old TV show you're always talking about!" "No, Brandon," I replied. "I'd like to request you do a simple thing for me." "Okay, Dad. What is it?" "Be HIM. The Brandon in the picture. You can do it." "Dad, if it were possible to spontaneously become younger, I'm sure you'd have done it by now." "No, Boomers can't. C'mon, Bran, I'm merely asking for a simple act of Age Regression on a temporary basis." "Well, I don't know, Dad. I've got a lot of biology homework ..."
"All right, all right. I'm offering you five dollars right now to Be HIM!" I produced a crisp five dollar bill from my wallet and crinkled it temptingly in front of his face. "Well, that's not a lot of money for all the molecular structure transmutation I'd have to undergo, and ..."
"Okay, Brandon," I blurted out, "I'll up the ante. I'll buy you a pony!" 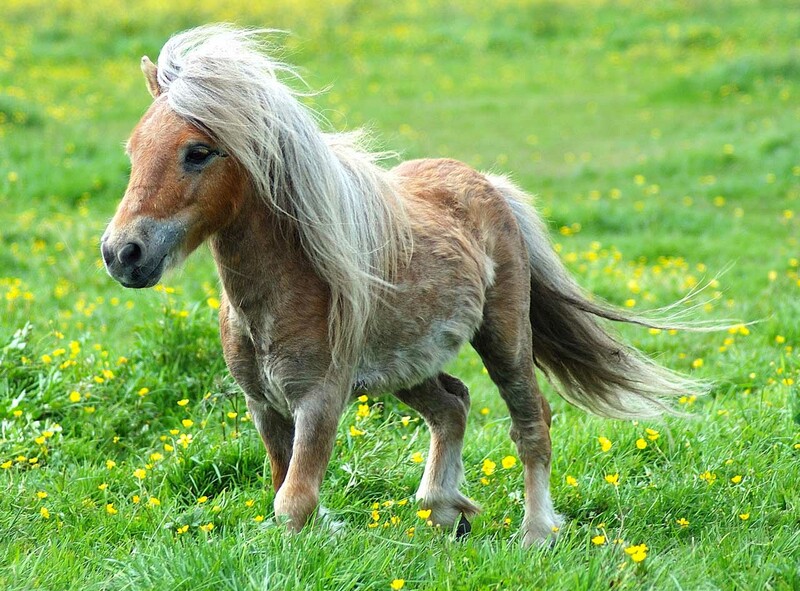 Dad, I haven't wanted or asked for a pony in over ten years." "That's just it! Once you're seven, you'll want one all over again!" I could see I was getting nowhere with my simple reasonable request, so I moved on to another, but related, subject. "What would you like to do for your birthday, Brandon?" I asked. "I think I'd like to have a party out back for all my friends." "GREAT!" I exclaimed. I'll barbecue hamburgers and hot dogs, rent a moonbounce, maybe we can hire a clown, and ...."
"Dad," said Brandon, "I kind of meant just for my friends and me. Maybe you could ... umm ... go out for a while during the party?" So! There was to be no Age Regression. No party, no moonbounce, not even a damn clown. Know what I plan to do during Brandon's birthday party? Go to the movies to see The Lorax. At least one of us is going to be seven. I feel your pain, fellow parent! For years, I tried pressing on the top of our youngest daughter's head to keep her from growing up. The result: She's taller than either of us! But don't despair. Now she's all grown and gone and has a job and all that, and she buys good swag for OUR birthdays. Maybe this year, I'll ask for a pony! Grown and gone? I have another son who did that. You mean there's an unchecked outbreak of this? Where do they all go? How many ponies do you have to buy? Thanks for commenting, Marion. At least I know the commenting system works, even if the Age Regression one doesn't! I think my parents were actually pleased to see me grow up. But your essay is a hoot. As someone who follows your tweets, kiddo, you're quite the hootable one yourself. Maybe you were just too hootable to handle for your parents? As a child, I couldn't wait to grow up. Not that I hated being a kid, I simply hated not being in control of my kid-ness (bedtime? whaddya mean I have a bedtime?) Now, as a parent of a 9yo, I am desperately trying to reach into the time-space continuum and slow this process. I've even offered to extend his bedtime. P.S. - Stephen Hawking is really no help. He won't even answer my calls anymore. Hate to be discouraging, Narielle, but wait til you see how it zooms from 9 to 21 in 60 seconds or less. Even Stephen Hawking is clueless here. 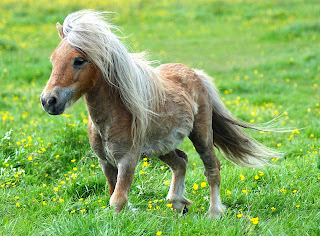 In fact, he's the one who suggested the pony! Thanks for your comment and have a great day.